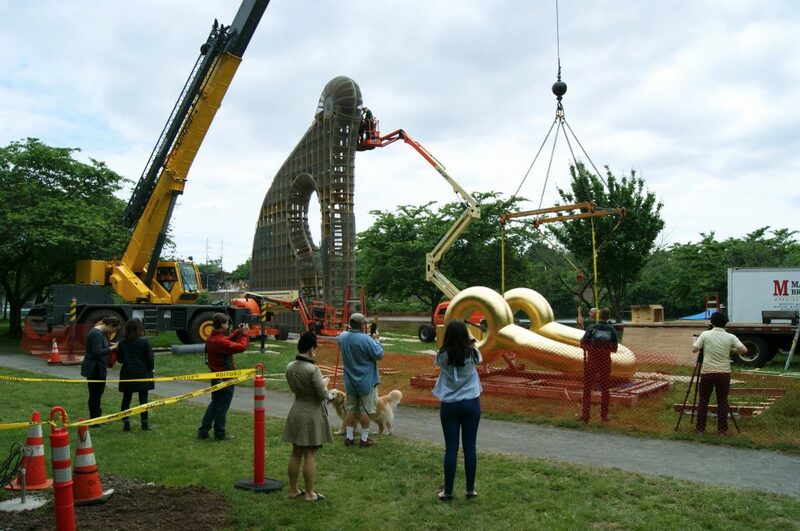 Big Bling has officially been deinstalled and will be heading to MASS MoCA. Thank you to all of our partners and everyone who supported this project! 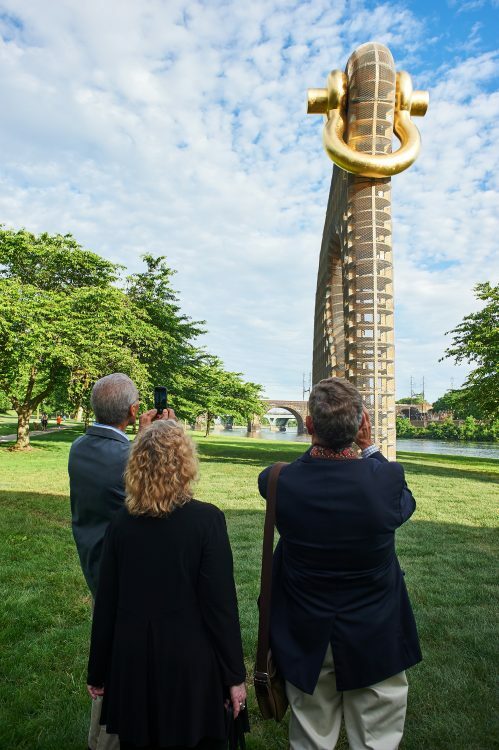 The Association for Public Art (aPA), working with New York’s Madison Square Park Conservancy in a first-time collaboration, brought internationally acclaimed artist Martin Puryear’s Big Bling to Philadelphia as a temporary installation. 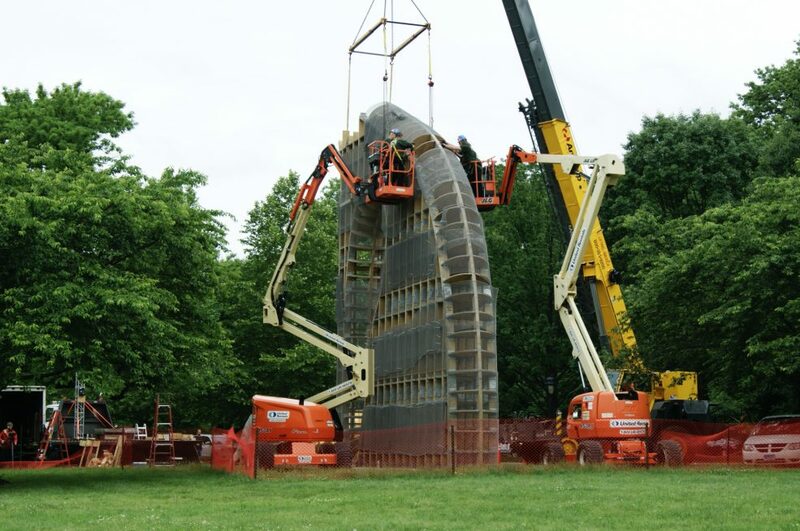 The sculpture was commissioned by Madison Square Park Conservancy, New York, and was first exhibited by the contemporary art program, Mad. Sq. Art. Martin Puryear, Big Bling, 2016. Collection of the artist, courtesy of Matthew Marks Gallery © Martin Puryear. Photo James Ewing Photography © 2017 for the Association for Public Art. 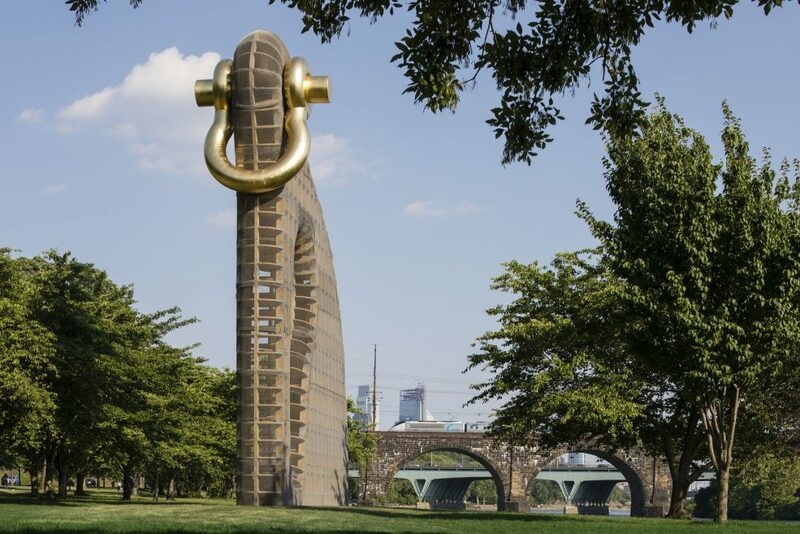 Big Bling was installed along Philadelphia’s Kelly Drive, between Fountain Green Drive and the Connecting Railway and Girard Avenue Bridges (see map), and was on view from June – November 2017. The sculpture was located near Daniel Chester French and Edward C. Potter’s General Ulysses S. Grant, Frederic Remington’s Cowboy, and Carl Milles’ Playing Angels, which were installed by aPA in 1898, 1908, and 1972, respectively. 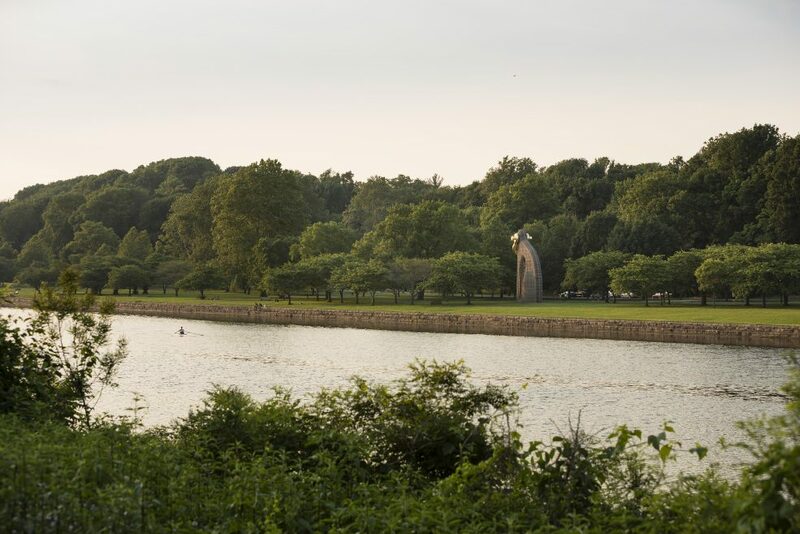 Philadelphia is home to one of Puryear’s early public works, Pavilion in the Trees. 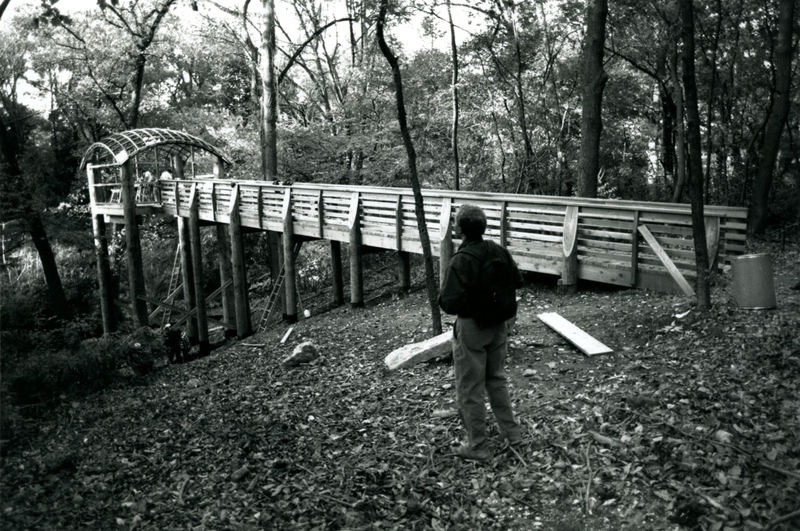 Pavilion was conceived in 1981 as part of the Form and Function program of the Fairmount Park Art Association (now the Association for Public Art) and installed at the Fairmount Park Horticulture Center in 1993. Inspired by the universal longing for a tree house, Pavilion consists of an open structure that uses materials similarly found in Big Bling. The work has become a favorite destination to relax and contemplate nature from a bird’s-eye view. Share your photos on Twitter and Instagram using #BigBlingPhilly! Martin Puryear, Untitled (State 1), 2016. On view at the Philadelphia Museum of Art through October 15, 2017. The Philadelphia Museum of Art displayed a recently acquired intaglio print by Martin Puryear, Untitled (State 1), published by Universal Limited Art Editions, Inc. The print was displayed in Gallery 124 of the Museum from Tuesday, June 27, through Sunday, October 15, 2017. 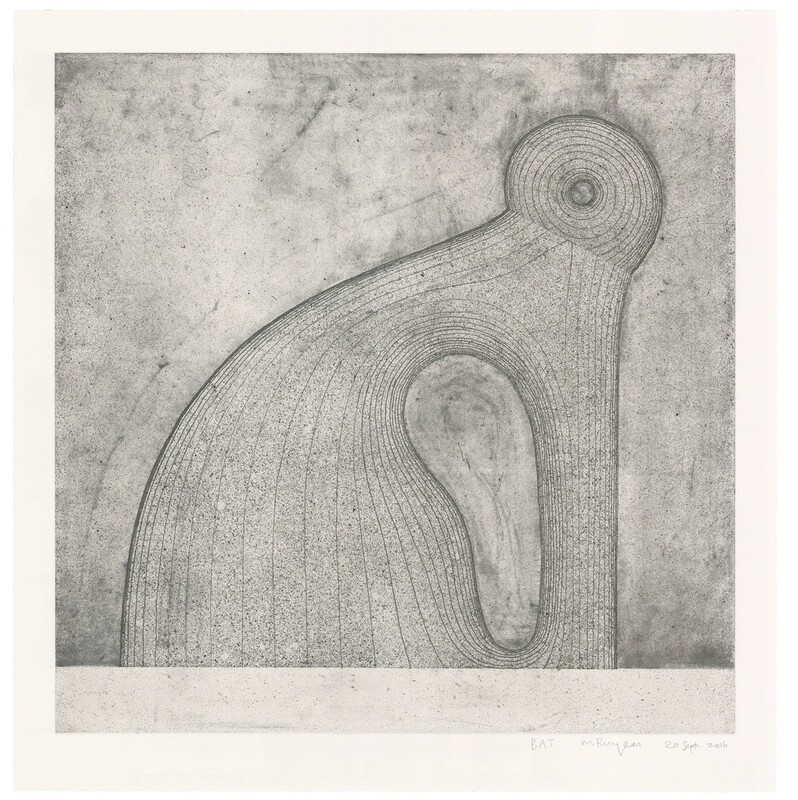 Additionally, in conjunction with aPA, The Print Center exhibited Martin Puryear Prints: 1962 – 2016, guest curated by Ruth Fine. “The forms explored in Puyear’s sculpture, often rooted in nature, are equally powerful in his prints,” said Ruth Fine. The exhibit was on view September 8 – November 18, 2017. An opening reception was held at The Print Center on Thursday, September 7, 2017. More information at printcenter.org. 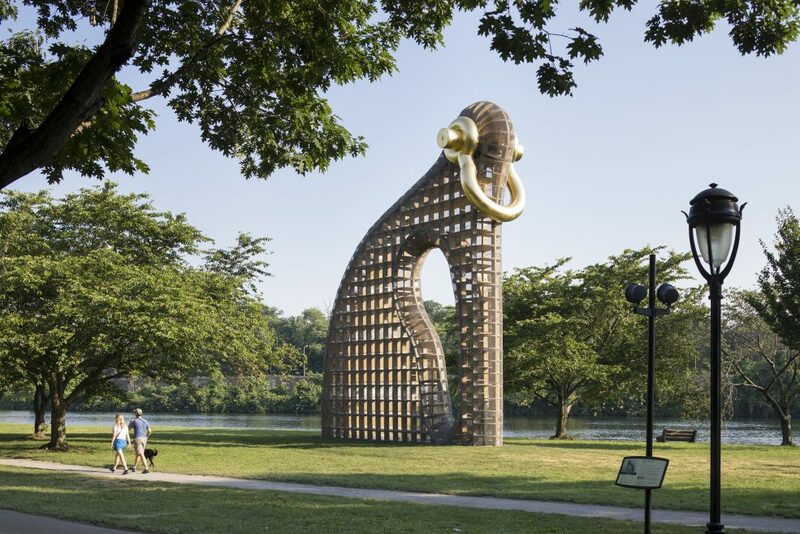 Martin Puryear's Big Bling (2016) on Kelly Drive, presented by the Association for Public Art and commissioned by Madison Square Park Coservancy. Photo James Ewing Photography © 2017 for aPA. Martin Puryear, Big Bling, 2016. Collection of the artist, courtesy of Matthew Marks Gallery © Martin Puryear. Photo Ashley Lippolis © 2017 for the Association for Public Art. 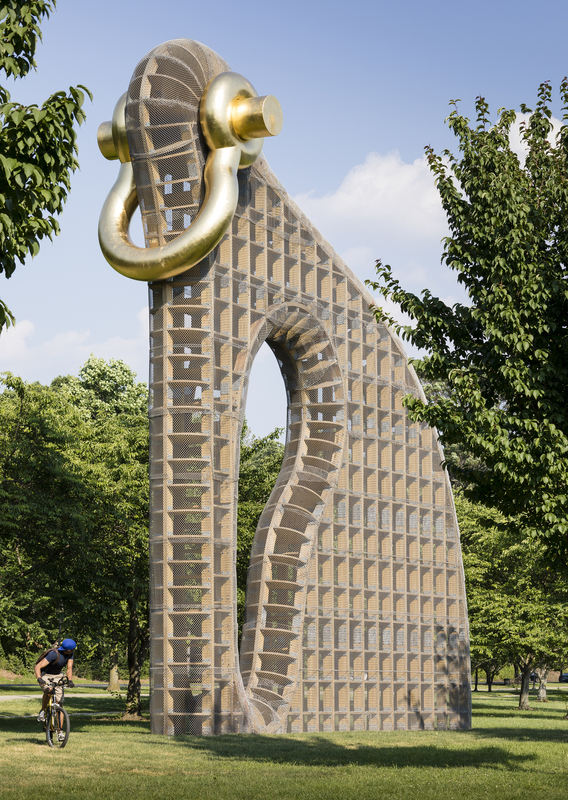 Martin Puryear, Big Bling, 2016. Collection of the artist, courtesy of Matthew Marks Gallery © Martin Puryear. Photo Alec Rogers © 2017 for the Association for Public Art. Martin Puryear, Big Bling, 2016. Collection of the artist, courtesy of Matthew Marks Gallery © Martin Puryear. Photo Caitlin Martin © 2017 for the Association for Public Art. 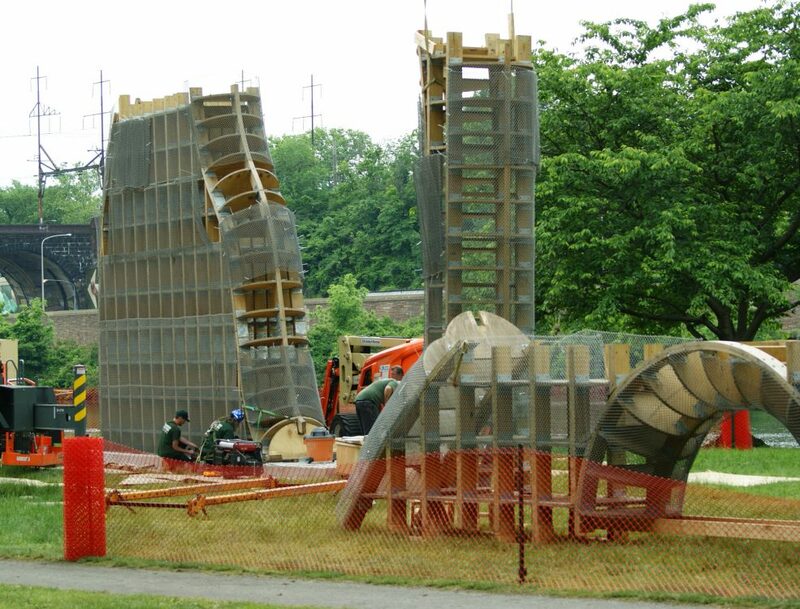 Martin Puryear with his Pavilion in the Trees (1993) in Philadelphia’s West Fairmount Park. 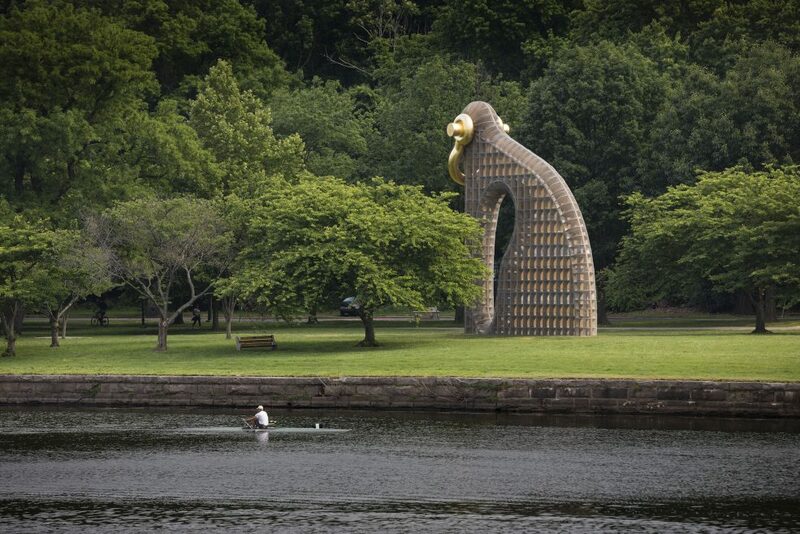 Pavilion was commissioned by the Association for Public Art and can still be enjoyed today. Photo by Wayne Cozzolino. 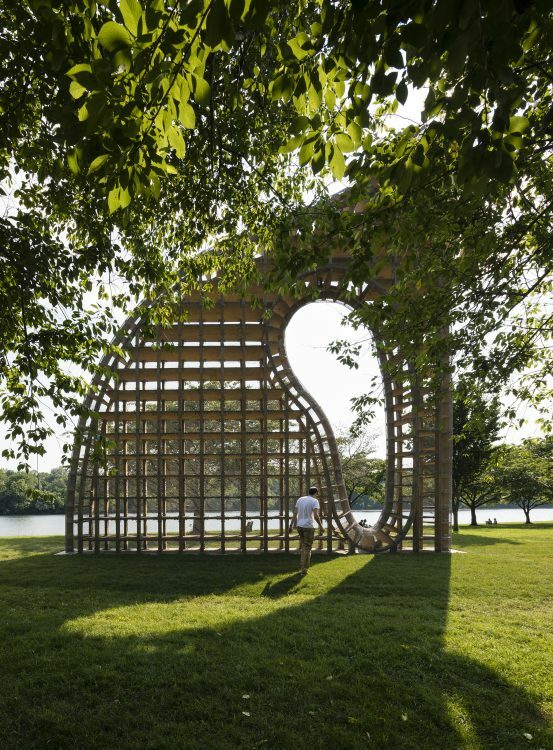 Martin Puryear (American, b. 1941) has created a body of work that defies categorization, creating sculpture and works on paper that examine identity, culture, and history. Puryear’s sculpture combines modernist abstraction with traditions of crafts and woodworking in shapes informed by the natural world and by ordinary objects. In the 1960’s he volunteered with the Peace Corps in Sierra Leone (1964-66), where he schooled himself in the region’s indigenous crafts, and his interest in Scandinavian design led him to study at the Swedish Royal Academy of Art (1966-68). He earned his B.A. from Catholic University of America, Washington, D.C. (1963) and his M.F.A. from Yale University (1971). Puryear’s 2007 retrospective was organized by The Museum of Modern Art, New York and traveled to the Modern Art Museum of Fort Worth, Texas; National Gallery of Art, Washington, D.C.; and San Francisco Museum of Modern Art. An exhibition of his drawings, Martin Puryear: Multiple Dimensions, was recently on view at New York’s Morgan Library & Museum (2015-2016). 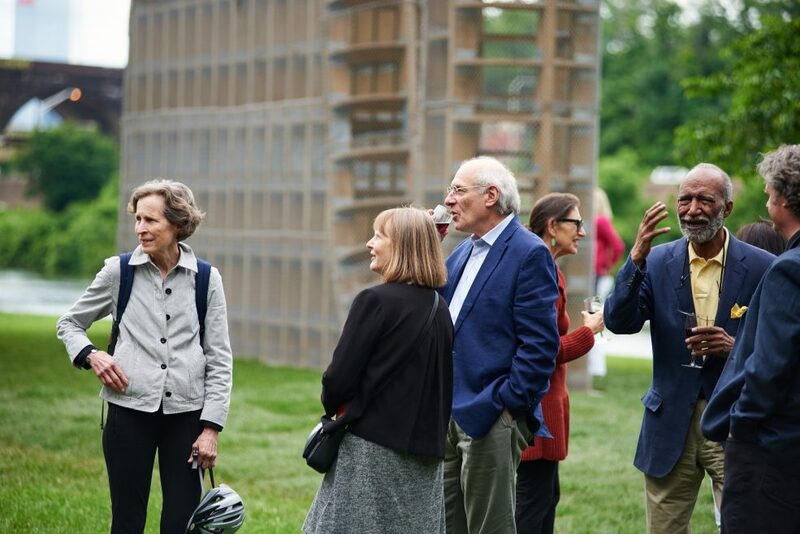 Puryear has received many distinguished awards, including the Skowhegan Medal for Sculpture (1980), a Louis Comfort Tiffany Grant (1982), and a MacArthur Foundation Fellowship (1989). He was elected to the American Academy of Arts and Letters (1992) and was awarded an Honorary Doctorate from Yale University (1994). 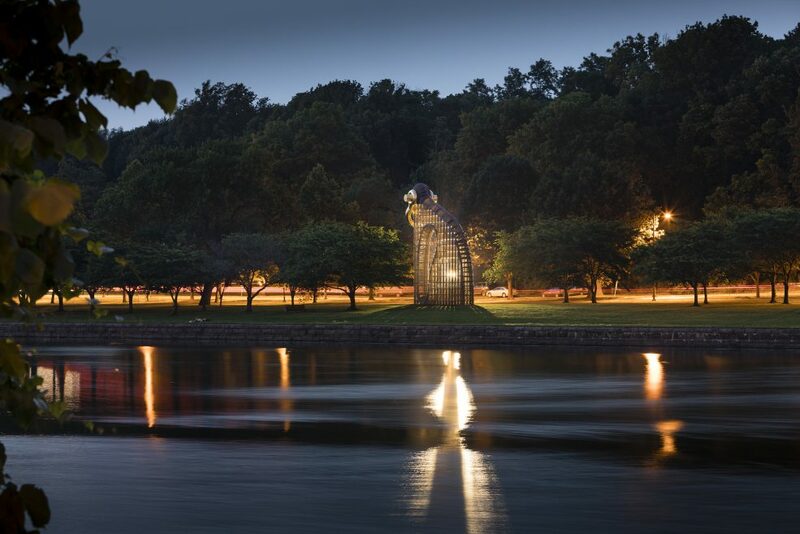 In 2017 he was awarded the Association for Public Art’s historic Medal of Honor. 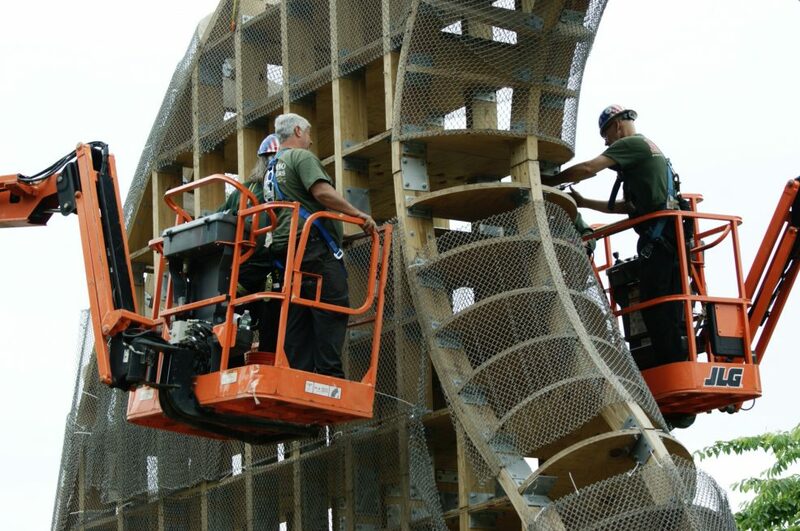 Puryear lives and works in the Hudson Valley region of New York. Brooke Kamin Rapaport is the Director and Martin Friedman Senior Curator of Mad. Sq Art at Madison Square Park Conservancy in New York City. Dr. Kellie Jones is Associate Professor in Art History and Archaeology and the Institute for Research in African American Studies (IRAAS) at Columbia University. Michael Hurwitz is a fine furniture designer and friend of artist Martin Puryear. 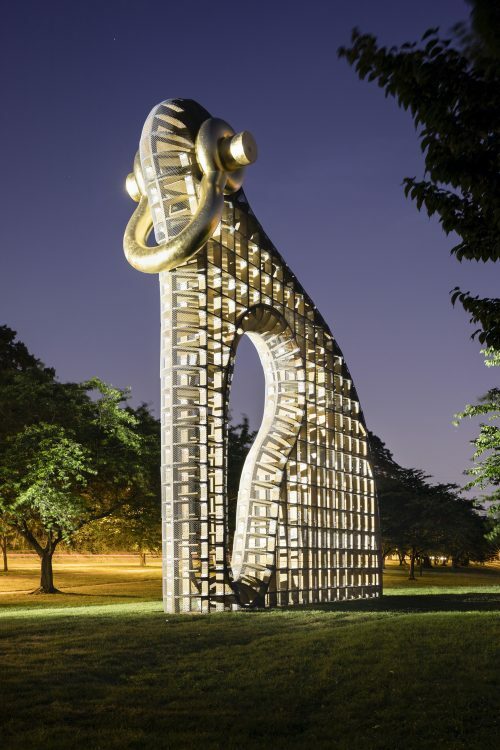 Martin Puryear is the artist who created Big Bling. 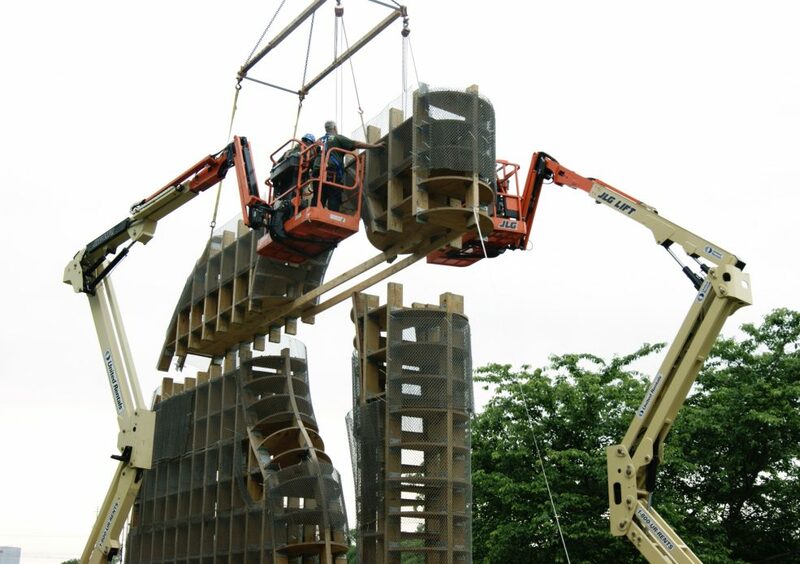 He is heard on archival tape courtesy Art 21, Inc.
Museum Without Walls™: AUDIO is the Association for Public Art’s award-winning audio program for Philadelphia’s outdoor sculpture. 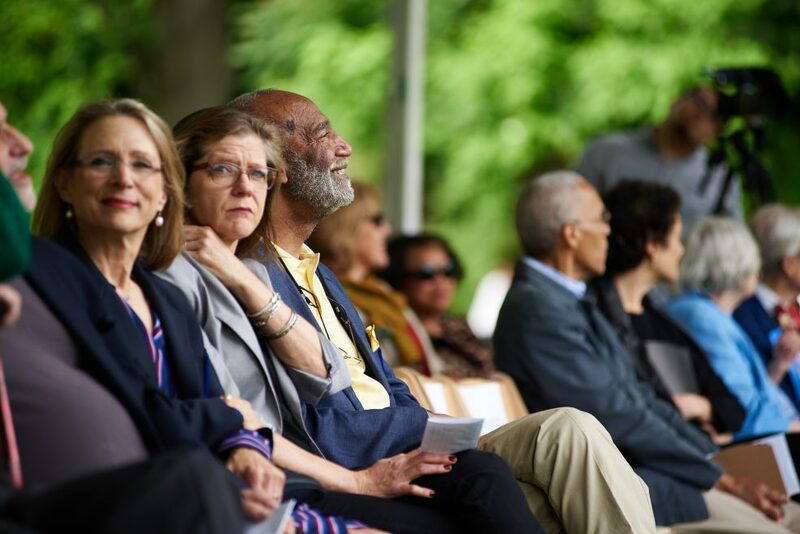 Available for free by cell phone, mobile app, audio download, or on the web, the program features more than 150 voices from all walks of life – artists, educators, civic leaders, historians, and those with personal connections to the artworks. 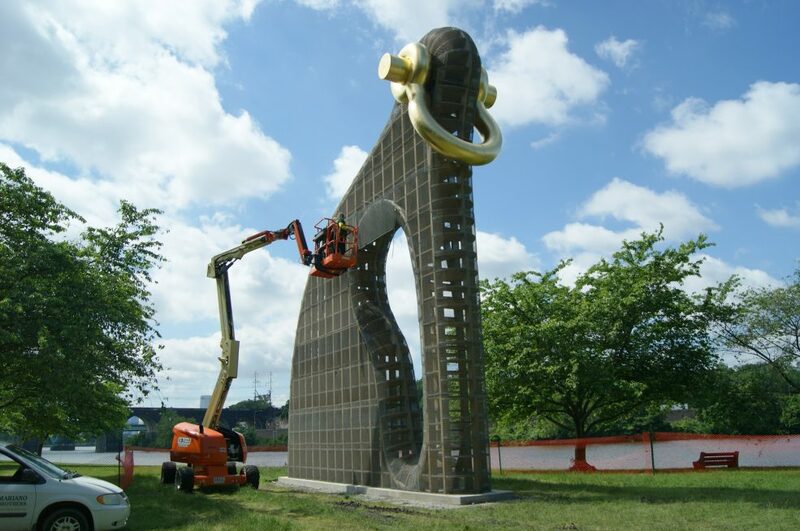 Unique audio programs are available for more than 70 outdoor sculptures throughout Center City Philadelphia and Fairmount Park. 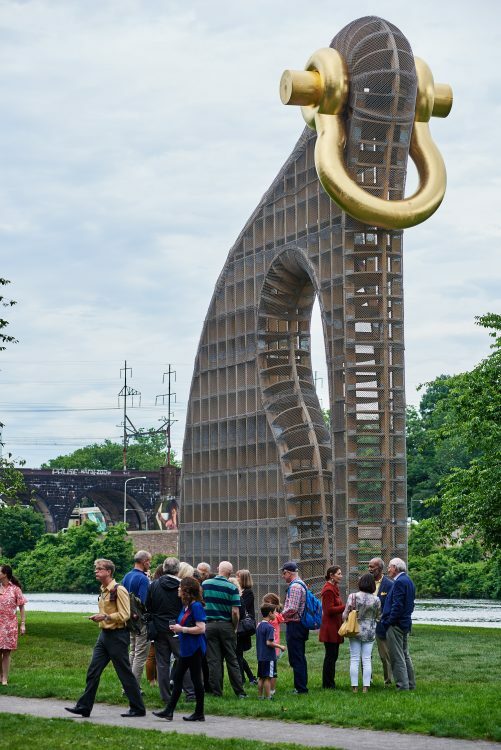 The Celebration of Puryear's Big Bling in Philly! 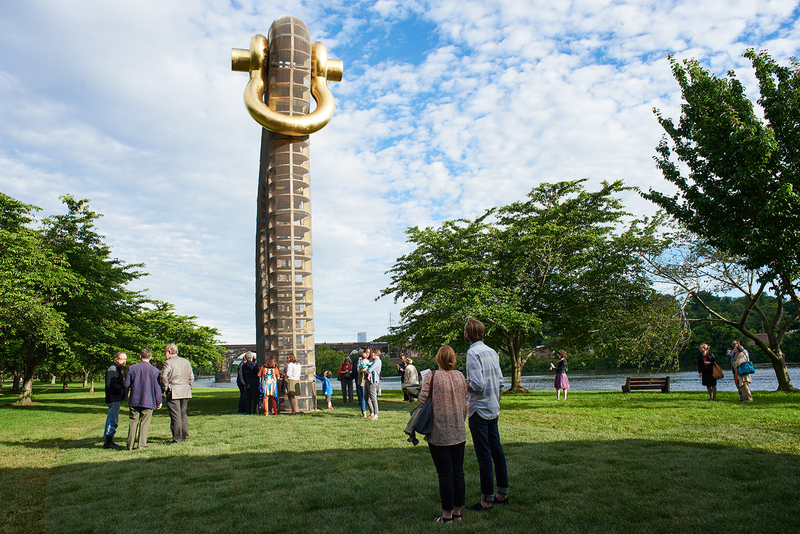 Thank you to all who joined us in welcoming artist Martin Puryear and Big Bling to Philadelphia! 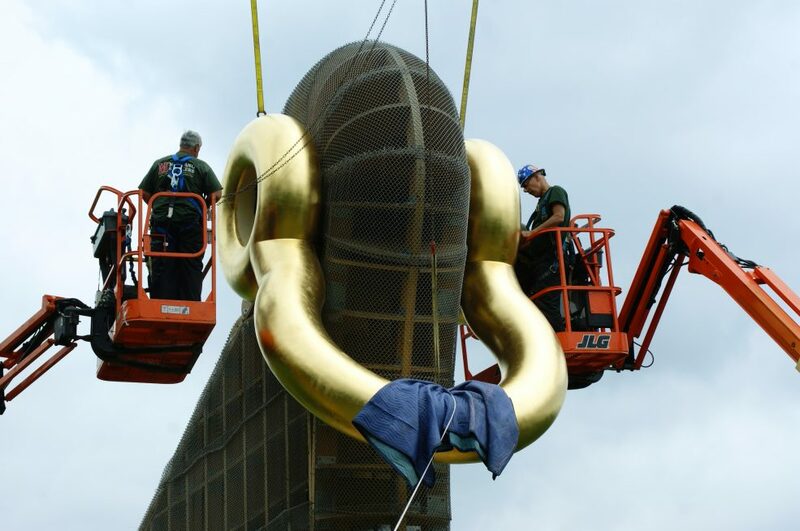 For those who weren’t able to attend the public celebration, the sculpture will remain on view through November 2017. 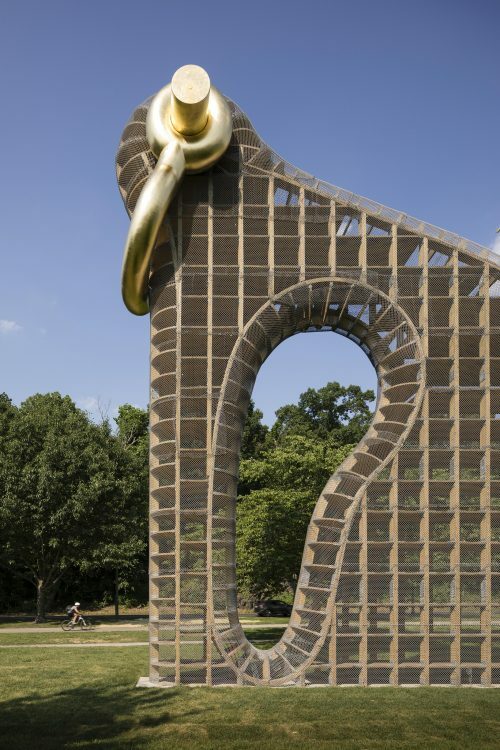 Big Bling by artist Martin Puryear along Philadelphia’s Kelly Drive. 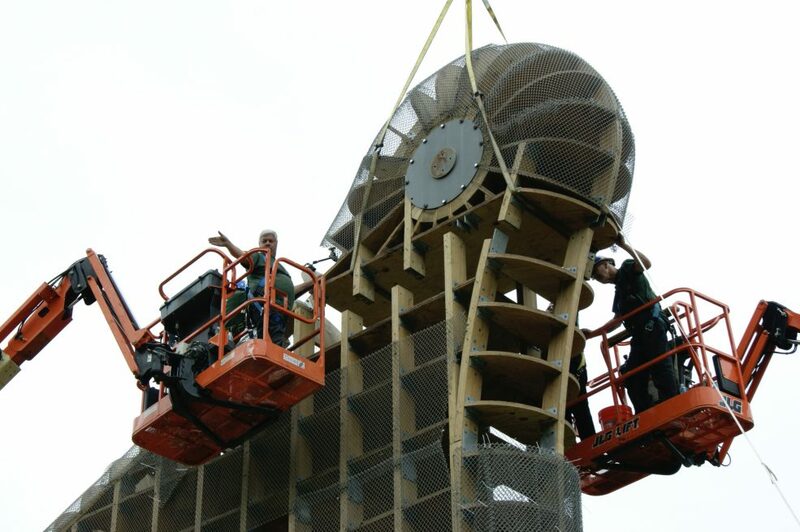 The sculpture was installed by the Association for Public Art through a collaboration with Madison Square Park Conservancy (NY), which commissioned the work. Photo by Albert Yee. 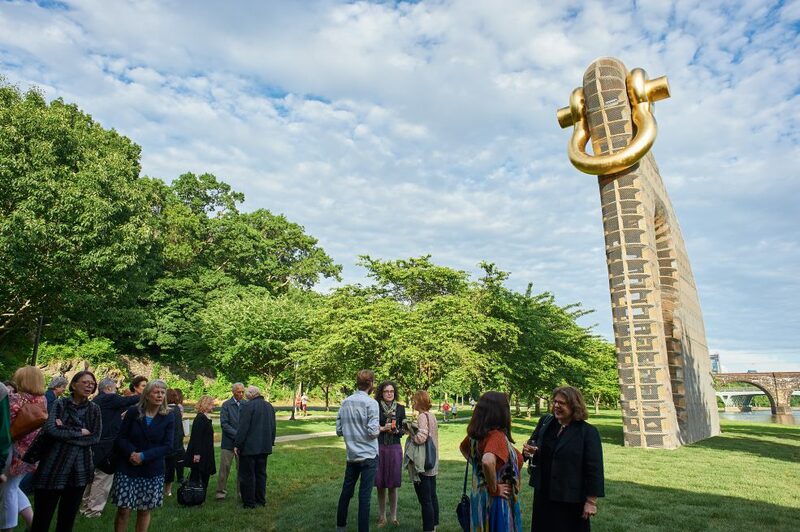 The Association for Public Art hosted a public celebration welcoming Big Bling on Thursday, June 8, 2017. 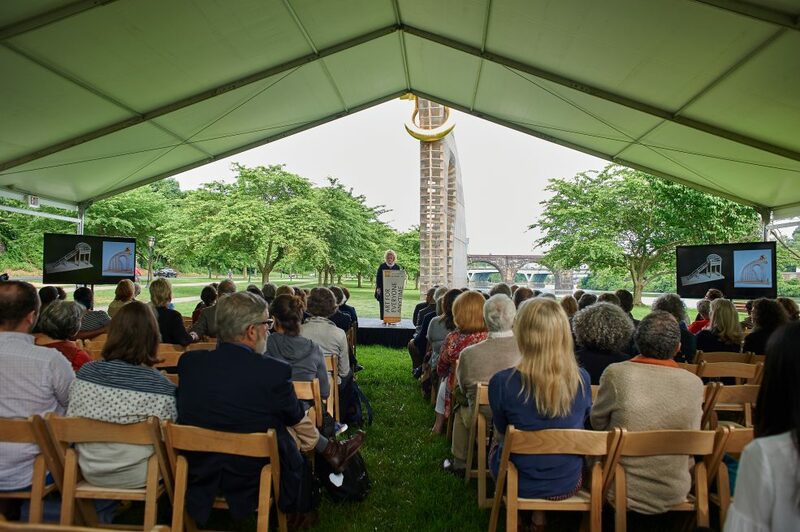 During the free event, Puryear was awarded aPA’s Medal of Honor, which recognizes outstanding achievement in the field of art through notable public service. 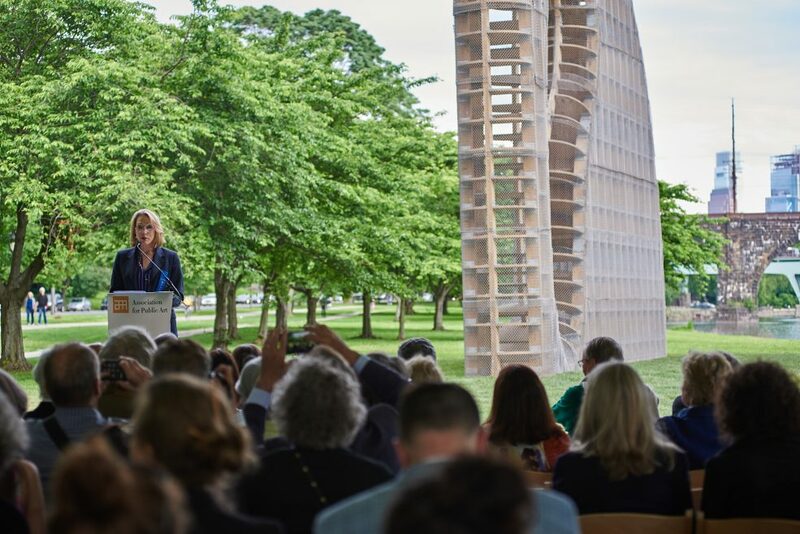 Previous recipients include artists Mark di Suvero, Claes Oldenburg and Coosje van Bruggen, and Isamu Noguchi, among others. Photo Albert Yee © 2017 for the Association for Public Art. aPA Board President, Barbara Aronson. Photo Albert Yee © 2017 for the Association for Public Art. 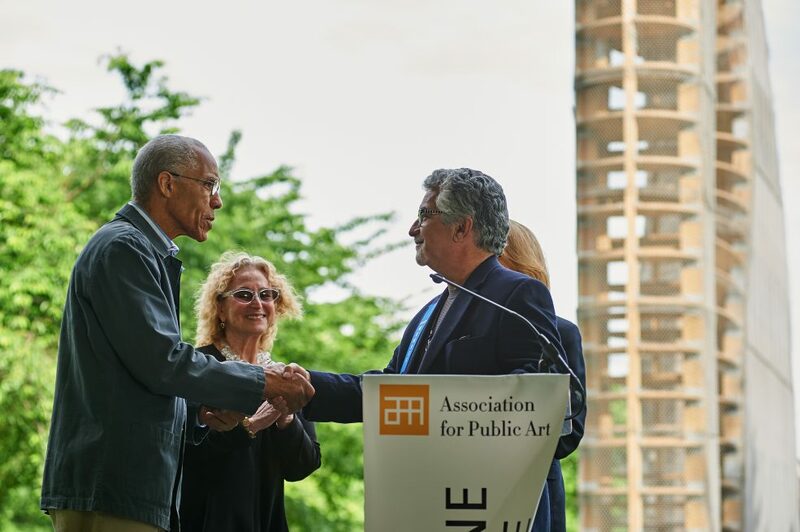 Alan Greenberger presenting the aPA Medal of Honor to Martin Puryear Photo Albert Yee © 2017 for the Association for Public Art. 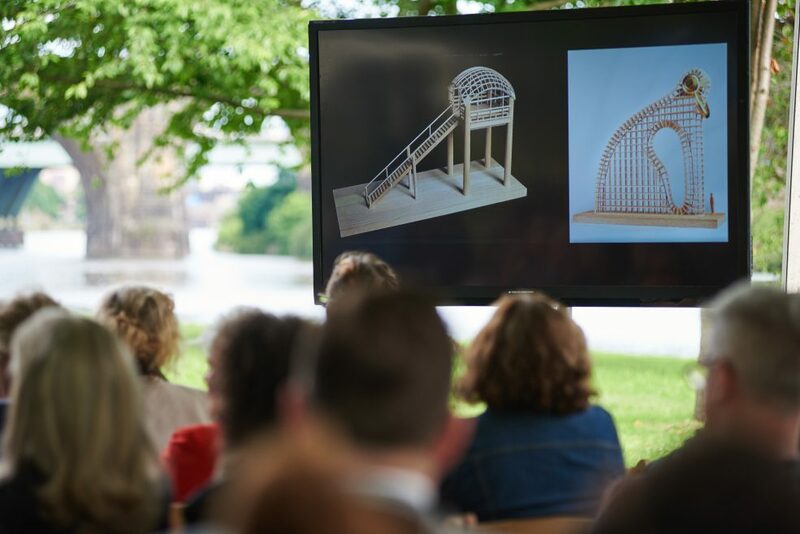 Models of Puryear's Pavilion in the Trees and Big Bling.Photo Albert Yee © 2017 for the Association for Public Art. aPA Executive Director and Chief Curator, Penny Balkin Bach. Photo Albert Yee © 2017 for the Association for Public Art. In Philadelphia, Big Bling is supported by aPA members and our Board of Trustees; the Pennsylvania Council on the Arts, a state agency funded by the Commonwealth of Pennsylvania, and the National Endowment for the Arts, a federal agency; the Philadelphia Cultural Fund; Barbara B. and Theodore R. Aronson; and FS Investments. In-kind support provided by Expert Events and Shake Shack. Mad. Sq. Art is the free, contemporary art program of Madison Square Park Conservancy. Since 2004, Mad. Sq. Art has commissioned and presented thirty-two premier installations in Madison Square Park by acclaimed artists ranging in practice and media. Madison Square Park Conservancy is the not-for-profit organization whose mission is to protect, nurture, and enhance Madison Square Park, a dynamic seven-acre public green space, creating an environment that fosters moments of inspiration. 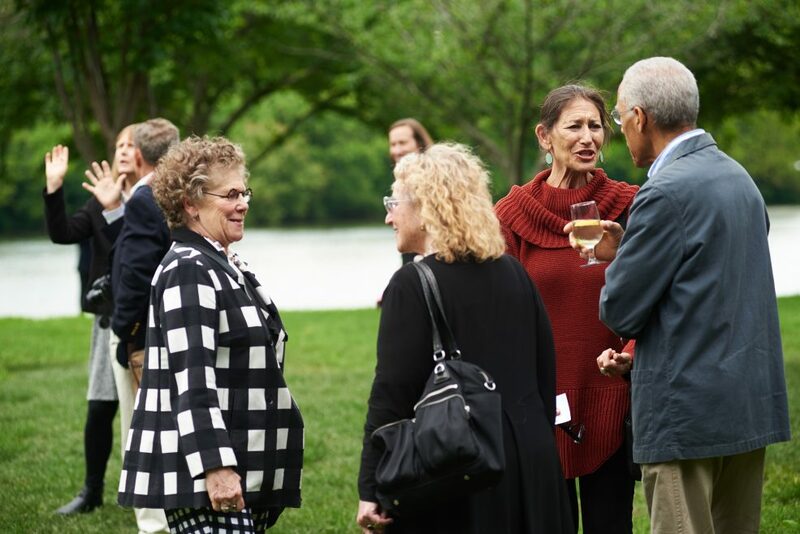 The Conservancy is committed to engaging the community through its beautiful gardens, inviting amenities, and world-class programming. Madison Square Park Conservancy is licensed by the New York City Department of Parks and Recreation to manage Madison Square Park and is responsible for raising 98% of the funds necessary to operate the Park, including the brilliant horticulture, park maintenance, sanitation, security, and free cultural programs for Park visitors of all ages. Special thanks to the Association for Public Art Board of Trustees, staff, and members; Martin Puryear, Jeanne Englert, and his Studio; Matthew Marks Gallery; Brooke Kamin Rapaport, Keats Myer, Tom Reidy, and Julia Friedman, Madison Square Park Conservancy; Aparna Palentino, Barry Bessler, and Gerald McFeely, Philadelphia Parks and Recreation; Creative Philadelphia; Philadelphia Museum of Art; The Print Center; Deidra McClintock, Diversified Lighting Associates; Mark Gisi, David Wolf, John Feuerstein, and Brian Huddleston, Eastern Standard; Sharon Erwin; Sharon McCullough, Expert Events; Doug Gordon; Aaron Igler and Matthew Suib, Greenhouse Media; Robert Glick, Kelly/Maiello Architects and Planners; Bill Montesi and Angelo Mariano, Mariano Brothers Specialty Moving; Thomas Friese, Linda Douthwaite, and Matthew Kensil, Pennoni; Tatti Art Conservation; Thornton Tomasetti; Liz Ruff, Urban Sign; and Alisa Vignalo. 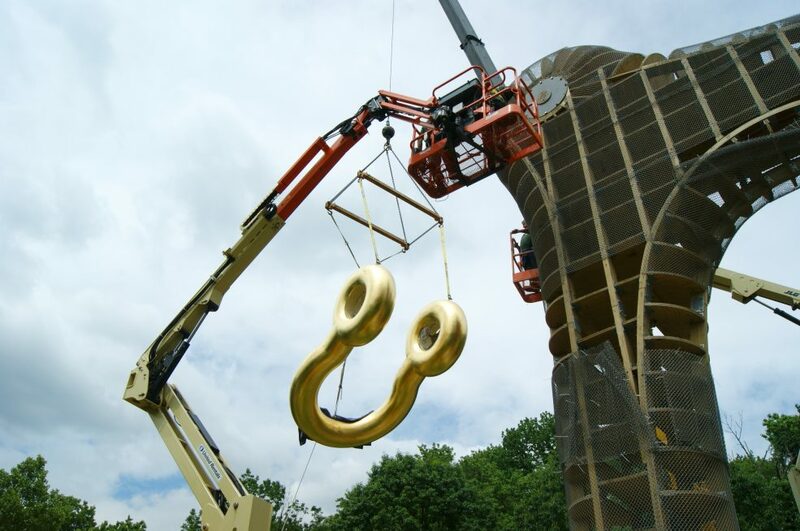 Credit: Martin Puryear, Big Bling, 2016. Collection of the artist, courtesy Matthew Marks Gallery. © Martin Puryear. The exhibition was organized by Madison Square Park Conservancy, New York. Major exhibition support for Big Bling is provided by the Ford Foundation, Matthew Marks Gallery, the Henry Luce Foundation, The Jacques and Natasha Gelman Foundation, J.P. Morgan Securities, and Unalam of Unadilla, New York, with substantial exhibition support provided by the Association for Public Art. 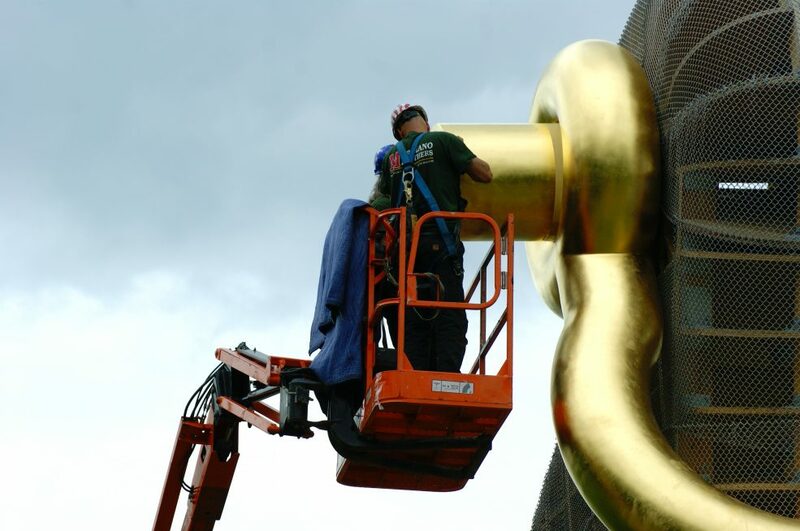 Big Bling is supported in part by an award from the National Endowment for the Arts. Mad. Sq. 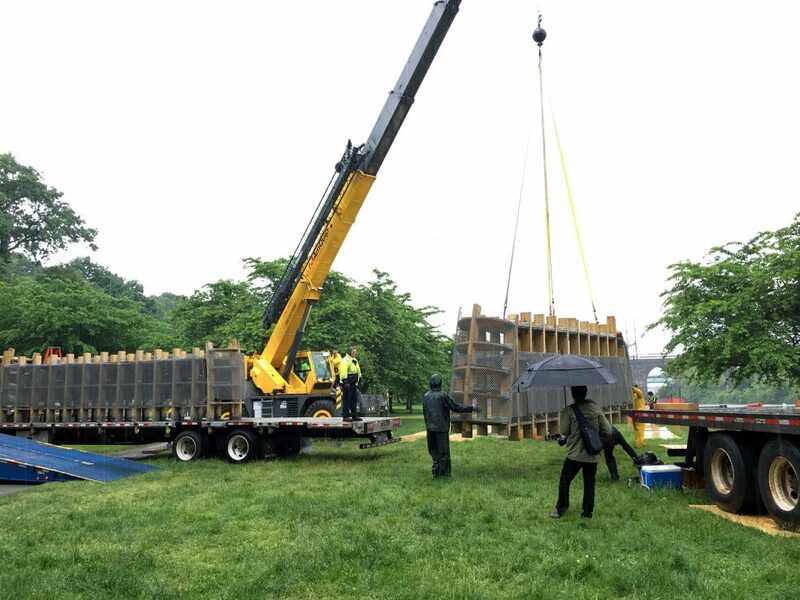 Art is made possible in part by the New York State Council on the Arts with the support of Governor Andrew Cuomo and the New York State Legislature. Mad. Sq. Art is supported in part with public funds from the New York City Department of Cultural Affairs, in partnership with the City Council. Madison Square Park Conservancy is a public/private partnership with the New York City Department of Parks & Recreation.